Chipotle’s chain of restaurants has been making the headlines over the past couple of months for all the wrong reasons. The dust had barely settled on food poisoning accusations when the company was rocked by yet another scandal: wage theft allegations by close to ten thousand employees, both former and current. Chipotle Mexican Grills has been accused of wage theft in the past; however, this particular case is different. This is going to be the biggest case they’ve ever faced so far given the number of complainants and the media attention it has garnered. Some lawmakers have joined the bandwagon and called for action to be taken against the company. The case has seen Chipotle lose millions in sales and its stocks in the market have also plummeted. Some performance incentives have also been removed from Chipotle’s programs. Managers across branches country-wide are the ones thought to be in charge of the scheme, although pressure from top hierarchy is very likely. Employees accuse Chipotle of being forced to work past their shift hours without the extra hours reflected in the system. As soon as, sometimes even before, their shifts are over, workers are ordered to punch out, but they were not necessarily allowed to leave. The workers in this case accuse Chipotle managers of forcing them to work an hour, or sometimes even three or more afterward. Since they are already off the clock, the extra hours go unaccounted for. Those who tried to speak out were threatened with termination. The above is especially common for the night shifts. Most branches close at 10 or 11 PM, but workers are forced to stay behind to clean and prepare for the following working day. This has led to some workers leaving work as late as three in the morning. Managers are given certain goals and labor cost limits, and they are in danger of losing their positions if they surpass the limits or if they don’t meet budget goals. There have been extreme cases where managers have reduced the actual hours worked by employees to meet the required labor costs prescribed by Chipotle. One particular employee, Leah Turner from Colorado, filed a lawsuit against Chipotle after years of service for the burrito chain. 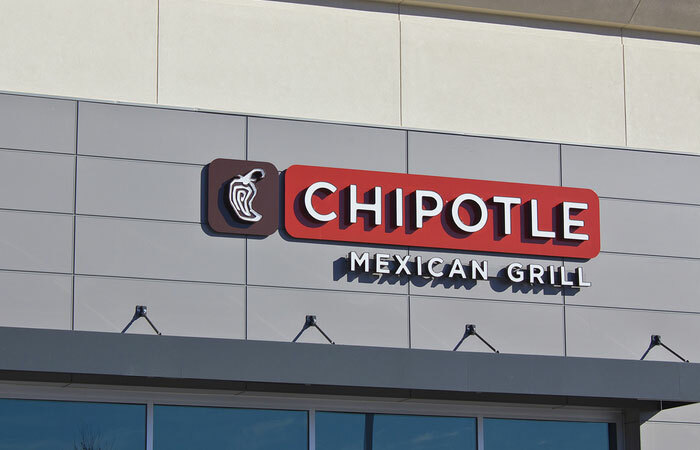 The lawsuit (Tuner v Chipotle) has seen thousands of current and former employees join in, and it has become a class-action lawsuit. Turner recalls how she used to work extra hours without pay in an effort to impress her store manager and work her way up the ranks, which she eventually did. Her boss ensured everyone punched out as soon as the shift was over, but they would still continue working. After her promotion, she too was forced to do the same to those under her. When she moved to another store, Turner realized just how deep the plot ran. Initially, she thought it was just down to one shrewd store manager. However, the same thing was happening at another branch. This made her believe that the whole scheme was actually perpetuated by higher management at Chipotle and that the whole company was in on the wage theft scheme. Many employees have come out to share their stories with the world ever since Turner filed the lawsuit. Brian Alexander, who worked for a branch in Miami, also had a similar story to tell CNN. Numerous protests have been held by the affected parties in a bid to force the government’s hand. Leah Turner, the lead plaintiff, will be represented by Adam Seth Levy, Law Office of Adam S. Levy, among other law firms and attorneys. You can get the names of all the attorneys and firms on leagle, a website with a full description of the lawsuit as it has come to pass. If you wish to join this particular lawsuit, you need to submit a consent requesting permission to do so. Contact any of the law firms listed for guidance or simply leave a comment (and your e-mail address) in the comments section. Alternatively, you can file a notice with the court (The United States District Court of Colorado) requesting to join. Visit the court’s website for contact details. If you are successful in joining, you should be ready to take the stand if called upon. All those who join will be entitled to a share of the benefits if the lawsuit is successful. The Chipotle wage theft lawsuit (Turner v Chipotle) is still in court, and the final verdict is yet to be issued. If it is successful, all those who joined the suit will be entitled to a share of the monetary compensation as decided by the court. For individual claims, Chipotle Mexican Grills may be required to pay for the extra hours. The hours, and thereby pay, should be considerable because there have been incidences in the past where certain hours have been deemed unsubstantial or negligible. A good example of one such case occurred four years ago when one worker filed a complaint citing unpaid extra working hours; but because she was owed less than twenty dollars, the case fell through. In 2012, employees who won a similar case against Chipotle received upwards of $700 each. In some cases, plaintiffs have gone on to receive a lot more. For example in April, one former employee won her wage theft case against Chipotle, and she received over $5,000 to cater for damages and legal fees. The company may also opt for out-of-court settlements in other cases.